Handmade one of a kind fingerprint rings in all karat and color golds as well as palladium and platinum. 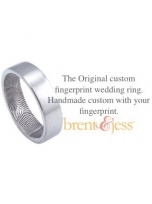 Brent and Jess created the first fingerprint wedding bands in the early 2000s. We search the world for unmatched value and quality. 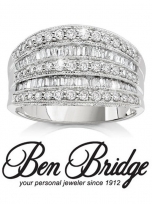 Youâ��ll always find exciting new designs â�� from traditional to cutting edge â�� for men and women. So we can help you select the perfect gift, from a simple token of your affection to a timeless symbol of lifelong commitment. 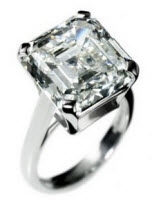 You will find a piece of fine jewelry and a memory that lasts forever. Your personal jeweler, Ben Bridge. Since the 1920s Robbins Brothers has made guys feel heroic and women feel weak in the knees. 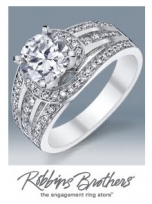 A destination engagement ring retailer, Robbins Brothers operates stores in Southern California & Texas, but is able to help customers across the nation through its Ring Center at 800.295.1543.